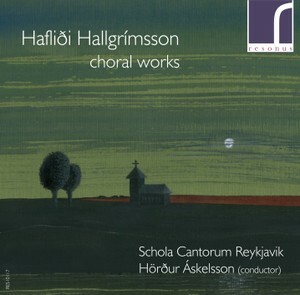 An important figure in the field of Icelandic contemporary music with a growing international reputation, is Hafliði Hallgrimsson. Born in 1941 in the small town of Akureyri on the north coast of Iceland. He began to play the cello at the age of eleven and from 1958-1962 studied the cello at the Music School in Reykjavík. The following year he attended classes given by the legendary cellist Enrico Mainardi in Rome. Having been a member of the Icelandic Symphony Orchestra from 1963-1964, he continued his studies in London at the Royal Academy of Music. He was awarded the coveted Madam Suggia Prize and a Recital Medal when leaving the Academy in 1966. Following his studies at the Academy, he studied composition privately with Elizabeth Luthyens, Dr. Alan Bush and Sir Peter Maxwell Davies. © Hafliði Hallgrímsson 2007-2019, all rights reserved.